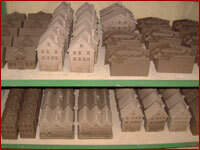 Ceramics is one of the oldest varieties of manufacturing. 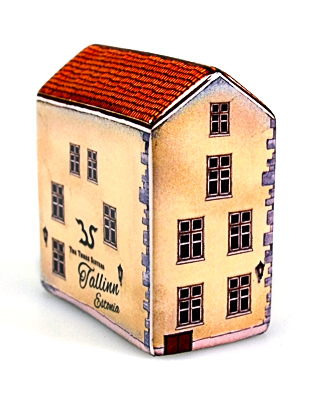 There are a lot of things made of clay around us and we can name them all one name- ceramics. Earthenware is produced in many countries of the world. 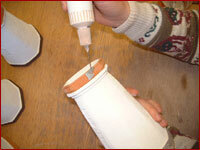 However, the industrial articles cannot equal the handmade ceramics. All the articles are made of Lithuanian clay. 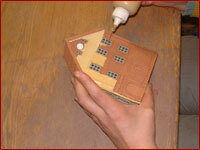 The manufacturing process consists of several stages: modeling, drying, burning, and glazing. 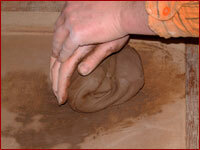 The modeling process starts from kneading the clay. 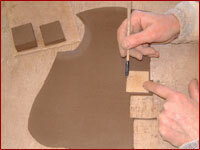 In order to have clay of the same thickness it is kneaded between two wooden strips. 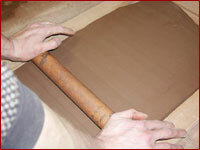 With the help of the moulds the clay tile is cut into pieces of different shapes . 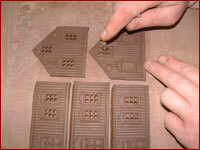 The windows are pressed with the help of the moulds. The drying of the products is an important process of manufacturing ceramics as the quality of the articles depends on it. 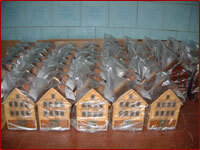 The drying of the articles lasts for 5-10 days. While drying the articles shrink for about 10%. 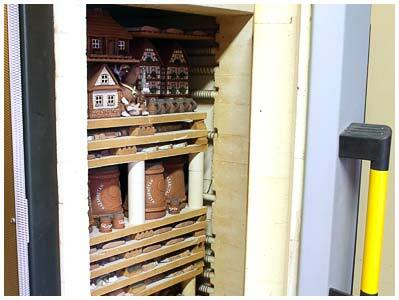 The most important device in the business of ceramics is a kiln. 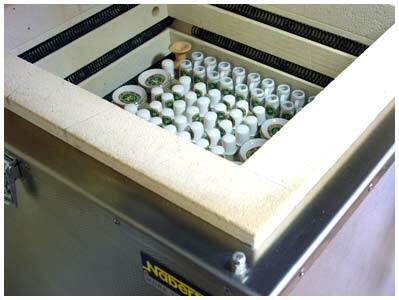 At our enterprise electric kilns are used. Burning is not only difficult but also a very expensive process. The manufactured articles are annealed two times. The articles that have been annealed once are glazed. First of all they are soaked into the liquid glaze, and then they are glazed. 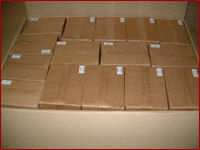 The articles are packed into corrugated cardboard boxes. Inside the box the articles are separated by small pieces of cardboard. 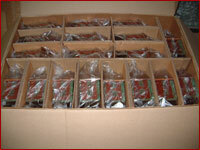 The mugs are packed into separate boxes. 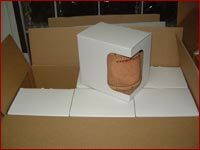 According to the wishes of customers the articles can be packed into separate boxes. 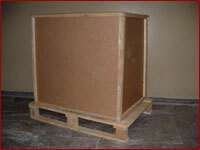 While transporting the boxes are put on the palette. 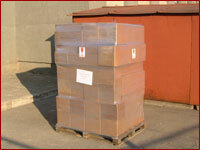 To ensure safe transportation by air the articles are packed into special cardboard boxes.